The Cook N Home Micro Perforated Colander Over The Sink Expandable Handle, 13.5 by 9", Stainless Steel is made of stainless steel for durability. Measures 15 x 9 x 4 inch and the handles extend to fit over the sink. Great for washing, straining, and draining vegetables, fruits, grains, etc. Handle does not slip and has resting feet to keep the colander in place. Dishwasher safe. 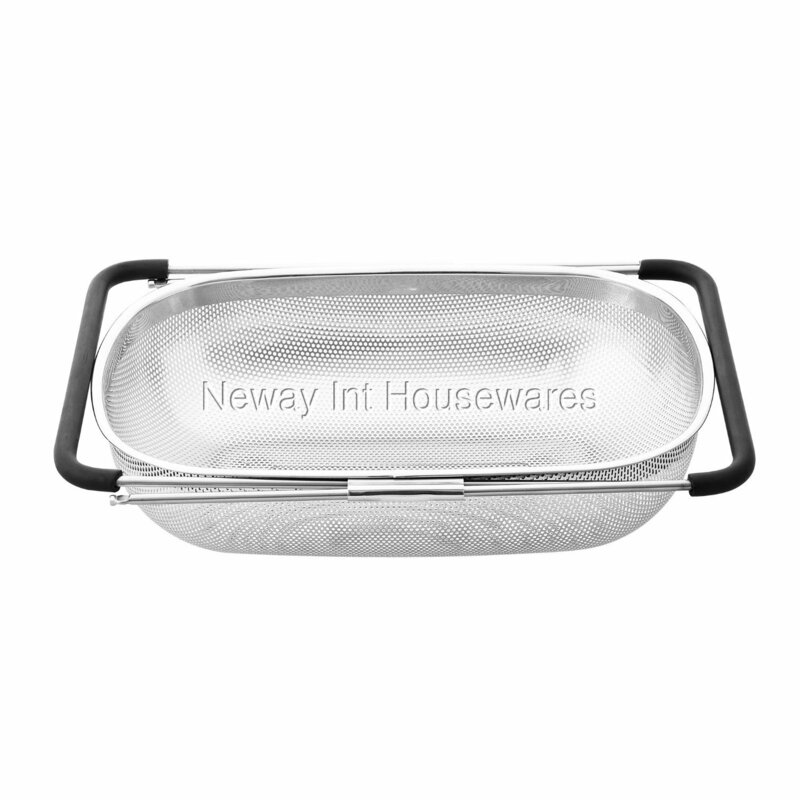 Great for washing, straining, and draining vegetables, fruits, grains, etc.